Today’s markets are global. To succeed in this rapidly changing and expanding business environment, engineering companies must look for new ways to improve effectiveness. Whether your goal is to reduce costs, penetrate new markets, build global alliances, or widen your talent pool, hiring internationally is an essential step when delivering complex international engineering projects. In today’s post, we’re going to discuss some of the considerations you’ll need to make when hiring for international engineering projects. Hiring internationally has its difficulties, and having the right information will help you to make wiser hiring decisions. If you’re hiring an individual to join an existing team or building a new team from scratch, your focus should be on assessing which candidate would be the right fit for your team. Are there any skills or qualities that your team is lacking? Do you need a team player, standalone specialist, or are you hoping for someone to bring leadership, troubleshooting or technical knowledge experience to the team. What is the working environment of the team and the company culture of your end client? Will you need a team capable of building a strong working, face to face, relationship with the customer or a team able to work remotely but still deliver results? Assess your project’s needs and build the team from there. Selecting the right candidate/s for your team is always the hard part. To help you make an informed decision you’ll need to think carefully about a number of variables. If the candidate is joining a team in a country that is new to them, are there any cultural differences that need to be taken into account? Once you’ve done the initial assessment of the team’s culture and dynamics it’s time to get down to the nitty gritty of the role. 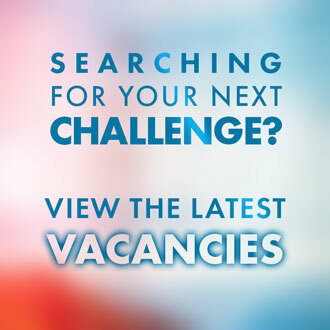 What skills, qualifications, and experience are you looking for? Which are essential, and which could be developed on the job? Remember; the perfect candidate doesn’t always come as a complete package straight off the bat. Will you source candidates direct via your HR department or via an agency? Using a specialist agency, should mean you can target candidates with specific technology, project experience or for a shorter duration who will hit the ground running. Sourcing locally has its benefits where you can find candidates who can start working quickly. Sourcing internationally often requires more time and administration, however by doing so there are huge benefits. Changes in government policies (e.g. Brexit) require employers to spend more time thinking about how they will attract candidates to join them. What is unique and attractive about the project, department or company, over and above the day rate or expat salary, that will entice top talent to the team? Communication skills are paramount on international projects, even more so when you are working in offshore or remote locations. Be sure to do your due diligence and assess each candidate’s communication skills throughout the candidate screening process. By doing so, you’ll be able to wheedle out any language barriers that could impact the effectiveness of your team. When recruiting for international projects, an important part of the process is to manage candidate expectations of what the role will be like. This will help the candidate to make an informed decision about whether the role is right for them and vice versa. What will the workplace environment be like? Is it different from what they are used to? What is the rotation, travel distance to the project site, accommodation provision, target start date and local taxes? By having an open and honest approach at this stage, the candidate will be more able to make the right decision about whether joining your engineering or construction project team is right for them. When hiring internationally, whether it’s for an offshore or onshore position, you’ll need to make sure they have the right work permits in place for that particular locale. It’s not uncommon for either party to make assumptions about each other’s responsibilities for ensuring work permits are in place, so be sure to be upfront about the requirements right from the get-go and how much support you will offer beyond sending an invitation letter. Whilst we’ve discussed many of the considerations and risks with hiring internationally, it’s really important to end on a high note and look at the benefits. Perhaps the biggest benefit to building multinational teams is being able to widen your talent pool. Where historically, engineering companies were limited to the talent of one nationality, gender or from one specific education background, now it is possible to hire talent from anywhere in the world. In an age where competition for talent is high, widening your talent pool is key. Not only will it help to address any engineering skills shortages that you’re facing, it will also help you foster creativity and innovation. In a recent study by Katherine W. Phillips, diverse groups outperformed more homogeneous groups not only because of an influx of new ideas, but also because diversity triggered more careful information processing that is absent in homogeneous groups – this is a real must have in an engineering setting. Since 2008, Turner Lovell have recruited personnel for onshore and offshore projects within the engineering, electricity transmission, renewable energy, civil construction and oil & gas sectors. 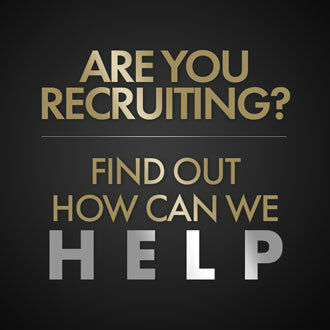 For help sourcing great talent to join your team, get in touch today. Connect with Turner Lovell for the latest news, trends and insights across the oil & gas, renewable energy, electricity transmission and engineering sectors.